As long as the global economy relies on oil, oil spills are a constant hazard. Devising innovative and efficient ways to clean up the messes is, therefore, a top environmental priority. 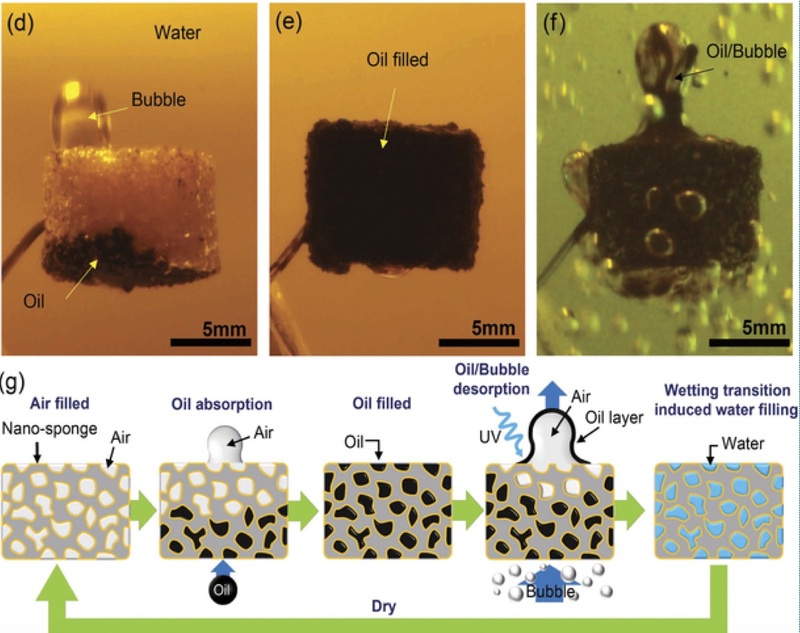 Now, a team of Korean researchers has designed a “nano-sponge” that absorbs and desorbs oil on demand. And, unlike many other materials used to clean up oil spills, their invention is reusable. The researchers published the details in the journal Scientific Reports. Next, the authors showed how their sponge works once submerged in water contaminated with crude oil. (See figure below.) Because it is oil-loving (oleophilic), the sponge soaks up the crude oil and turns black. Bubbles emerge as the oil fills up air pockets. Then, the authors irradiated the sponge with UV light. Titanium dioxide behaves differently in UV light, becoming extremely water-loving (superhydrophilic). 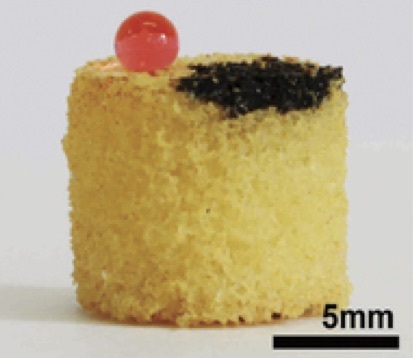 Because of this change, the sponge is now more attracted to water than it is to oil. When combined with aeration (i.e., bubbles), the UV-irradiated sponge releases the oil it had just absorbed. The researchers should be commended on an extremely clever invention. One hopes they are seeking to commercialize this product.